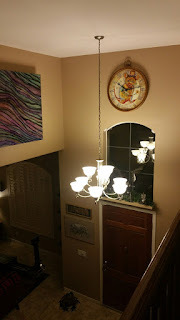 I love when people share where they've hung my paintings. This one of a kind clock turned art has the perfect home above the front door. Has THE cutest mouse on it named Hick Dickory. It hangs in one of my dearest collectors homes in the Phoenix area.